How Can I Go Adventure Carolina Inc? 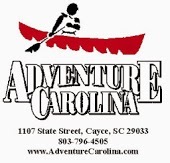 Where is Adventure Carolina Inc in Cayce on the Map? 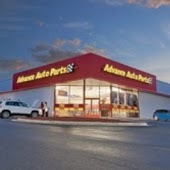 This location has 33 reviews from customers. I absolutely love this place. They represent the epitome of fun, and nature all merged in one. Curtis is a great guide and very helpful. Thank you so much. 15-20stars and all. I'll see y'all in about an hour and 20 minutes. You should only book a trip with Adventure Carolina if you want a fabulous, fun-filled and safe experience!!! These guys made our group of 25 middle schoolers and 4 adults feel like a top priority all day. I would highly recommend this company and personally can't wait to do it all again!! I absolutely love the experience I have had with the awesome people at Adventure Carolina. Not only do they make you feel comfortable if it's your first time, but they genuinely care about you and ensure that you are safe and happy. My son and I have found a new place to get out and have fun, and he just loves learning about the Congaree and Saluda Rivers. If you're looking for something exciting, fun, and different, this is the place to go. I've told all my friends about this place and am taking my friend kayaking for his birthday this weekend. I just can't get enough of everything these folks have to offer! I took my daughter with me last Sunday afternoon for our first kayaking adventure ever on the Congaree River. Our guide Hite had us paddling together and experiencing the beauty of the river in no time. The afternoon was amazing as we enjoyed kayaking for the first time, swimming with a bunch of new friends and hearing stories about the area and the river from Hite. I recommend Adventure Carolina and can't wait to take my next trip. Great company! I have gone tubing with them a couple of times and just enjoyed my first kayak trip! Everyone is very friendly and helpful. I can't wait to go on another trip!